This is your first warning. The Duluth Homegrown Music Festival’s 2019 Iron Range Invasion is coming. The lineup will be announced soon. Here is what we have so far! 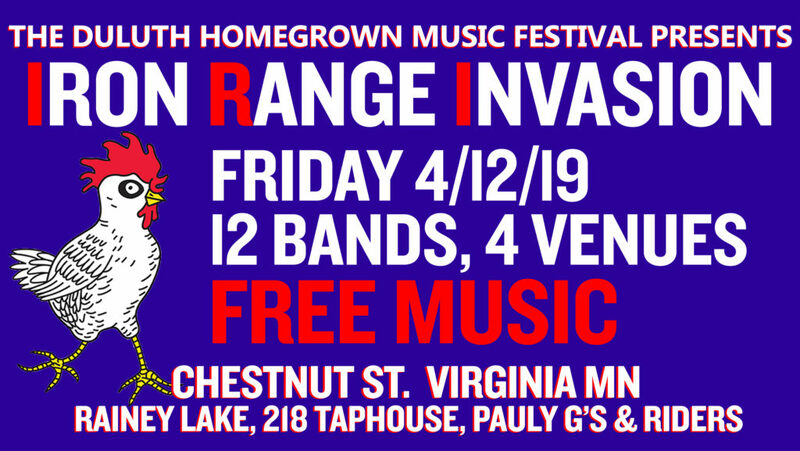 Duluth Homegrown Music Festival Iron Range Invasion is set for Friday 4/12/2019. The venues will be Rainey Lake, 218 Taphouse, Pauly G’s, and Riders! The band list and set times will be announced soon!